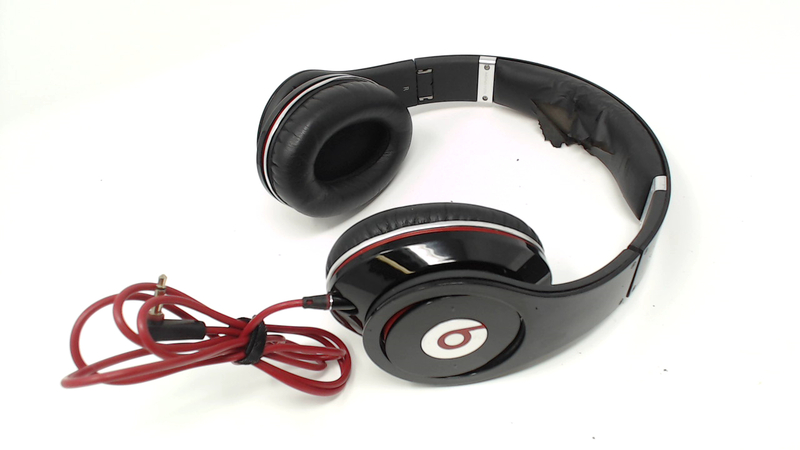 Includes headphones and plain red audio cord only. No additional cables, cases, ear pads, batteries or original packaging included. Fully Functional but the silver trim ring is bent out of shape on the left ear cup. Plastic in good shape - no cracks by screws - and the inner fabric band is shredding heavily. Ear pads are faded but not ripped or torn. WIRED. Powerful enough to block out a jet engine.Powered by a pair of AAA batteries, the noise cancellation feature in a pair of Beats Studio headphones amplifies the music as it blocks out noise, giving you consistently powerful and intense sound. 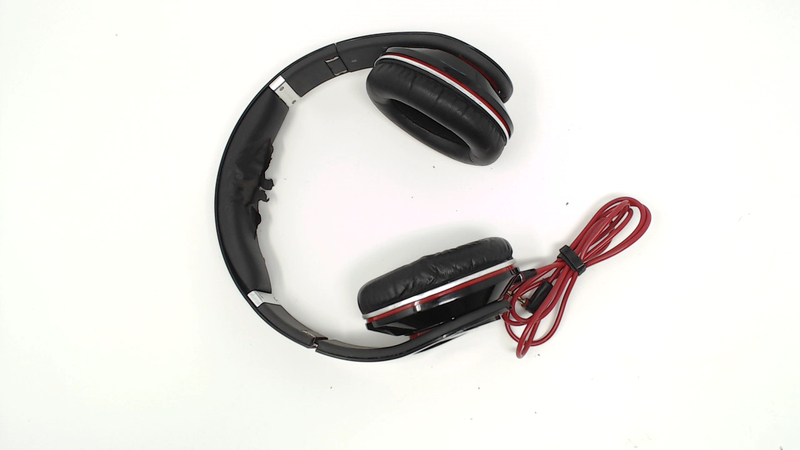 Extra comfortable earcups.Super plush and covered with ultra-soft breathable materials. The Beats logo on the side also acts as a mute button when you press it. No need to take them off to talk. A flawless and iconic fit.The perfect lightweight, foldable headphone that fits all sizes and shapes comfortably. The result is a design now copied by brands around the world.